Can you believe summer is just around the corner?! As a native-born Delawarean and UD Blue Hen alum, I spent summers in Rehoboth Beach, Delaware, working on the boardwalk and enjoying the beach. If you’re looking for hotels in Rehoboth Beach DE and things to do at the beach, there are a number of places to stay and activities that will fit your family and lifestyle. Rehoboth is one of my favorite towns, and there are so many things to do and see there. It’s a great spot for solo travelers, couples, and families, and there are a number of hotel and rental options that will suit anyone. Growing up, I could only dream of staying at some of the Rehoboth Beach boardwalk hotels or Rehoboth hotels with an oceanfront view. Instead, I was usually found working the kiddie rides and games on the boardwalk, serving pizza, and hanging out with other summer kids. The Delaware beach areas have changed so much since I was a teen (an indeterminate number of years ago), and I love going back to shop, enjoy the beach, walk the boardwalk, and have a fun and relaxing week! One of the best things about visiting Delaware is that it’s a tax free state for shopping, so enjoy the tax free shopping and savings on your beach vacation, too. 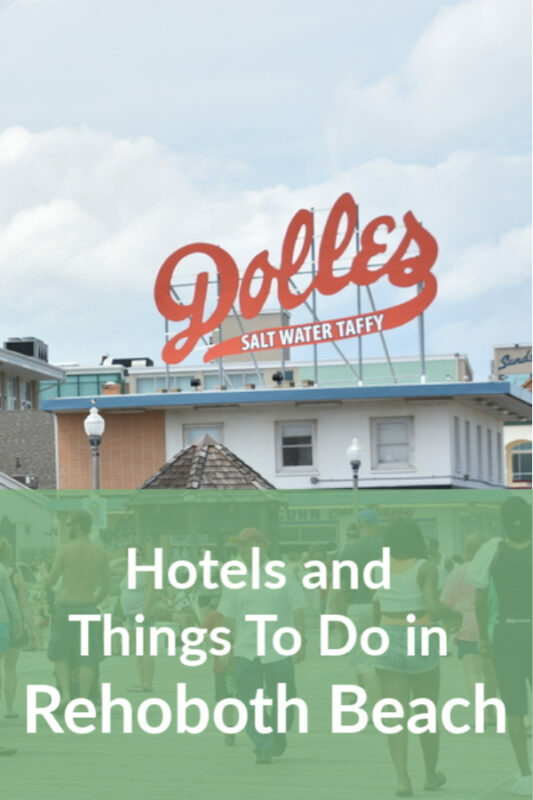 Read on for my recommendations for places to stay in Rehoboth Beach, things to do, and where to eat. Living and working at the beach allowed me to experience more than just the traditional tourist destinations. It is really easy to have fun doing anything at the beach; there’s something about the salt air and the atmosphere of the small, charming town that gives you major “vacation” vibes. Walk up and down the mile-long strip filled with shops and places to eat. It’s a great place to people watch, grab a bite to eat, and visit one of the many bars. To get to the boardwalk you will need to drive down Rehoboth Avenue, which is the “main drag” before you get to the boardwalk. It essentially makes a “T” with the boardwalk. There are lots of shops and restaurants on Rehoboth Avenue, so you can walk up and down it plus walk on the boardwalk for a full night of dining and fun. There are also a number of public bathrooms on the boardwalk, which is good to know if you plan on spending a lot of time on the beach or walking around downtown. Pro tip: Bring quarters for the meters if you’re driving and parking. It’s a Delaware classic (and I worked at the Rehoboth stores in high school). They make the pizzas with a layer of sauce and then layer on the cheese in a circle/swirl pattern. It’s very unique and distinctive, and their pizza is legendary in Delaware. But DO NOT go on a rainy day in the summer if you value your sanity (everyone else will be shopping). It’s best to go in the mornings or when you need a break from the sun. There are three outlet centers on Route 1, and you can usually hit all of them in one day, depending on how long you spend shopping in each center. Route 1 also has a number of other restaurants and malls. It’s a great place to do some tax free shopping! It’s a cozy place with options for takeaway coffee and treats, and you can also bring home a bag of coffee beans as a memory. This is my favorite bookstore of all time! They have a wonderful and diverse selection of books for all ages, as well as a charming “beachy” souvenir shop with lots of cards and stationary. It’s no secret I am a huge fan of drag, and have been since I was a teen. My first experience with drag shows was in Rehoboth and I love catching shows when I go to the beach. I worked at Funland for three summers and the rides and games are a great way to pass an afternoon, no matter how old you are. My favorite rides are the Haunted Mansion and the Sea Dragon, but they have a bunch of rides for kids and adults, alike. Plus, a full suite of games like Whack-A-Mole, Skee Ball, Frog Pond, and arcade games. Rent some bikes and ride all around town! In the summer you can ride bikes on the boardwalk until 10am. When it comes to lodging options, there are so many great hotels to choose from at the Delaware beaches. 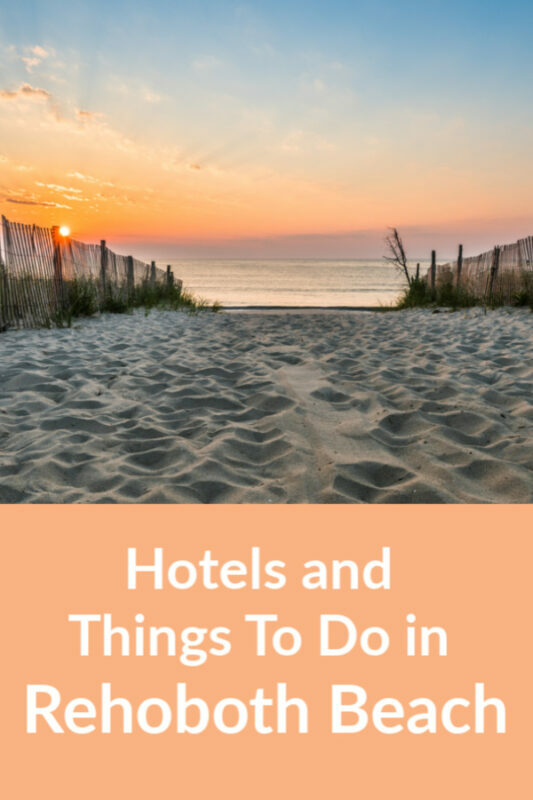 Whether you’re searching for hotels near Rehoboth Beach, on the boardwalk, or with an oceanfront view, here are a few places I’d recommend. The Avenue Inn & Spa is located just one block off the beach at 33 Wilmington Ave, Rehoboth Beach, DE 19971. 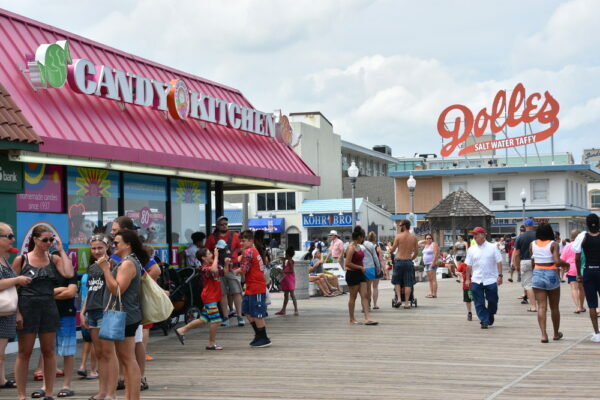 It’s located on a quiet street that’s within walking distance to the boardwalk and entertainment. Bonus: breakfast is included, and their restaurant has been nominated for a James Beard Award! Boardwalk Plaza Hotel at 2 Olive Avenue, Oceanfront on the Boardwalk, Rehoboth Beach, DE 19971 combines the charm of a B&B with the amenities of a hotel. Its oceanfront views and access to the beach lifestyle can’t be beat. And there are two rooftop hot tubs so you can relax and rejuvenate! The Bellmoor Inn and Spa at 6 Christian St, Rehoboth Beach, DE 19971 is located right off Main Street / Rehoboth Avenue. It’s the perfect spot to have easy access to all of the shops and restaurants in the area. The breakfast buffet is included with every stay, giving you a hearty start to your vacation. And their spa offers a French Vanilla Latte Scrub–can anything sound better after coming off the beach? The Atlantic Sands Hotel & Conference Center at 101 N Boardwalk, Rehoboth Beach, DE 19971 is directly oceanfront and on the boardwalk. You can’t beat the location of this hotel, and I’ve walked by it myself 1,000 times over the years. Their pool looks out over the ocean and the beach bar is a perfect spot for people watching. The Atlantic View Hotel, 2 Clayton St, Dewey Beach, DE 19971, is the only beachfront hotel in Dewey. I actually didn’t realize that until I was writing up these picks. Dewey Beach has some great surf, and you can view it all from one of the ocean view rooms. The hotel gets rave reviews for their breakfast, afternoon complimentary cheese plate, and evening cookies. The Dunes Rehoboth Beach at 20902 Coastal Highway, Dewey Beach, DE 19971, is under new management, and has just undergone a major renovation. It now features all new furniture, updated bathrooms, sleek bedding, and decor. The pet friendly motel is nestled between Dewey and Rehoboth, making it a perfect location for anyone looking to shop, visit the boardwalk, or enjoy the nightlife! I am a big Hyatt fan and have been a Hyatt credit card holder for about five years. I find them really clean and conveniently located, and the Hyatt Place Dewey Beach at 1301 Coastal Hwy, Dewey Beach, DE 19971 is no different. I treated my sister to a stay here with one of my free nights and she raved about the pool and comfortable bed! 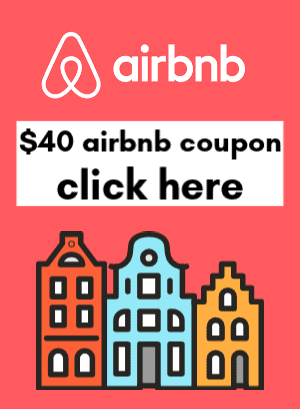 AirBnB offers a number of fun and affordable Rehoboth Beach rentals for any size party! You can find private rooms, charming cottages, and massive beach houses to rent, whether you’re looking for a space for 1 or 20 people. There are a number of affordable Rehoboth Beach vacation rentals, as well as truly luxurious places to stay. Click to view all of the Rehoboth Beach vacation rental houses on AirBnb. Neutrogena Ultra Sheer Dry-Touch Sunscreen SPF 100+ ($10). My favorite beach towel for summer vacations is the Cacala Pestemal Turkish Bath Towel. It is very light, packs down really small (maybe just larger than the size of a soda can), absorbs a lot, and dries quickly. They are very absorbent and come in a variety of sizes and colors. They’re perfect to pack for a beach vacation since they will barely take up any room in your suitcase, and gives you peace of mind that you’ll always have a beach towel or cover up! You will definitely need a comfy pair of flip flops to walk around the beach and boardwalk. I especially love the Oofos recovery flip flops. They are soooo comfy and perfect for treating your feet after a long day. I have a few UV sun shirts that are SPF 50+ and I have really been loving them. They protect my arms, chest, and shoulders, dry quickly, and are breathable. It also helps cut down on the amount of sunscreen you have to apply to those areas. My favorite to pack for a beach vacation is the zip up Caracilia rash guard for women. They have some super cute styles and I love that it zips on and off. 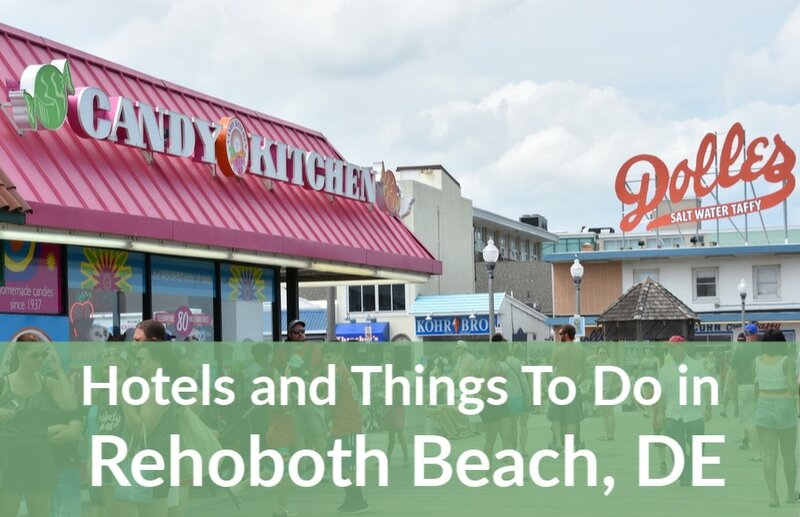 I hope this brief guide helped you figure out some great places to stay in Rehoboth and Dewey, come up with a short list of things to do, and remind you of a few packing essentials. Give me a shout if you have any questions about visiting Rehoboth or if you’re looking for suggestions for more things to do in Rehoboth Beach, DE this summer! What a fun boardwalk! My kids would love visiting Rehoboth! Yes, they would love it! It’s super charming with lots to do. I had no idea Rehoboth Beach even existed! I love coastal cities with boardwalks like this, they are so quaint and cute! Yes, definitely! It’s great for a weekend or week-long getaway! We’ve never really considered a trip to Delaware- but this looks like a perfect little beach town!!! Lots of people pass through Delaware but the beaches are always a great choice!